Well another year has gone by and another year the Baseball Writers' Association of America has disappointment me as a fan of the game. Yes Greg Maddox, Tom Glavine, and Frank Thomas deserve to be elected into to Hall of Fame, there is no question of that. But where the 571 Baseball Writers' have it all wrong is they have decided to be the judge and jury for players like Barry Bonds, Roger Clemens and Mark McGwire. This morning I was listening to MLB on XM and they were doing around the diamond and I heard one of the voting members talk about the innocent until proven guilty argument for these guy and he said, well that is the US judicial system, we don't have to adhere to that. I find this completely disgusting. Every one deserves the benefit of the doubt until that doubt is taken away. These sportswriters are depriving me, a baseball fan of over 30 years the opportunity of seeing the some of the great players I grew up watching enshrined into the Hall of Fame. 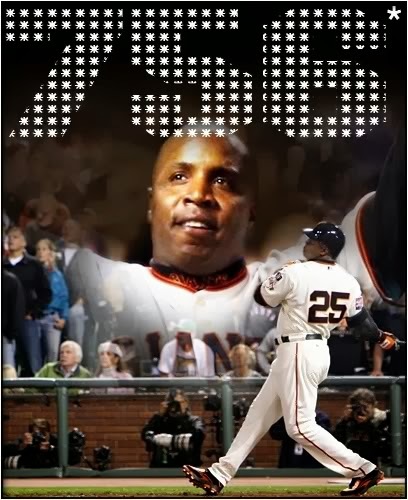 First, Barry Bonds...Bonds was one of the most feared, if not the most feared hitters of the 90's and 00's. He was probably the best player to walk on a diamond in the last 50 years! Watching him chase Hank Aaron was truly amazing to watch as a fan. I was rooting for him to do it. In fact, I was one of the few who would give him a standing ovation at Citizens Bank Park after he homered. I knew watching him was special and I enjoyed every minute of it. What really grinds my gears is that the Baseball Writers had no problem voting him a 7 time NL MVP. So despite the allegations during his playing days, these same arrogant morons voted for Bonds, but when it comes time to elect the Home Run King, he only get's 34.7% of the vote. 8-Time Gold Glove winner for NL Outfielder (1990–94, 1996–98). Looking at the accomplishments of Barry Bonds, how do you NOT vote him into the Hall of Fame! Tomorrow, I will give my case for another notable Hall of Fame Snub...Mark McGwire! Please feel free comment below with your opinions on Barry Bonds. I would love to hear from you. > Brad Lincoln (RP) = $500,000. > Domonic Brown (LF) = $500,000. > Cody Asche (Util) = $500,000. > Jake Diekman (RP) = $500,000. > Jonathan Pettibone (SP) = $500,000. > Michael Stutes (RP) = $500,000. > Freddy Galvis (Util) = $500,000. > Darin Ruf (Util) = $500,000. At this point in the offseason, the only certainty is that Ruben has not completed all of his roster moves. Traditionally, RAJ likes to make a few minor moves at the end of this month, but only a Magic 8 ball could tell you what specifically the management is thinking. Could Ruben Amaro, Jr. make a push to sign Tanaka without going over the salary cap? Yes, based on an anticipated annual salary of $17 million per season. 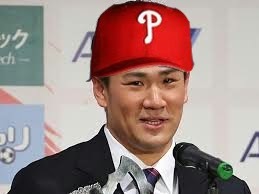 Would signing Tanaka put the Phillies over the salary cap? It is decidedly so. 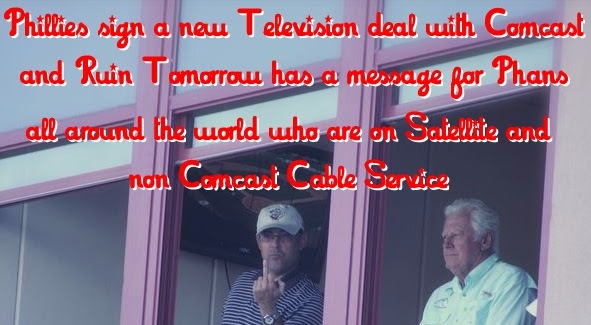 And based on the adopted Boston Red Sox management logic (i.e., short-term contracts and a budget that does not flirt with the salary cap), Amaro and Montgomery have been preaching, it almost is a guarantee the only remaining moves to be made are minor ones. In fact, I'm speculating that where there is smoke there is fire, and the rumors related to a reunion with former closer Ryan Madson will lead to an incentive laden deal and a return to the Phillies bullpen. If Madson is healthy, then Papelbon will once again be dangled at the trade deadline. Simply put, Ruben has considered clearing payroll via trade, but it simply has not played out. 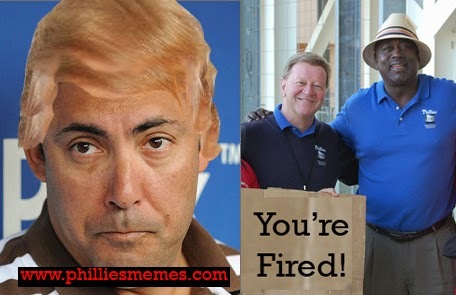 So for the time being, be content with supporting player type transactions, keep your fingers crossed that players are still interested in playing in Philadelphia, and hope for addition by subtraction that will clear up some payroll issues that Ruben has created since taking the helm in November 2008. I found this to be quite amusing, I hope you do too! 37 days till Pitchers and Catchers!